See, that's what separates heroes from the rest of us - reflexes. 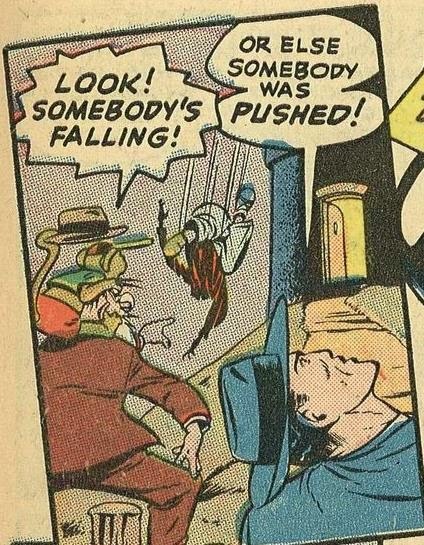 The guy hasn't even finished plummeting from the top of the lighthouse, and Midnight (the fake Spirit!) is already looking for a villain. Heck, the poor guy has only six pages, give'm a break!